Got a deluxe room for a week here but to be honest, I am very disappointed . Furniture is very old and there is no wifi in your room, you must paid if you need to used it so I can’t actually work with my Mac in the room . The free wifi is at the lobby but very bad connection. The breakfast is none variety , valueless for the money that I paid . I saw the chefs came out from the kitchen and used his bares hand picking up the the fresh fruits big plate for the guests to eat . The only nice thing here for me is the staffs ( not chefs ) at the breakfast room are friendly, smiles and polite . But I will not come back again. Good choice for travelers who want to visit Grand Palace and the heart of Bangkok city. Just only 3 Km. from Grand Palace and also close to the Chapraya -River. You can catch river cruises to travel along the river. 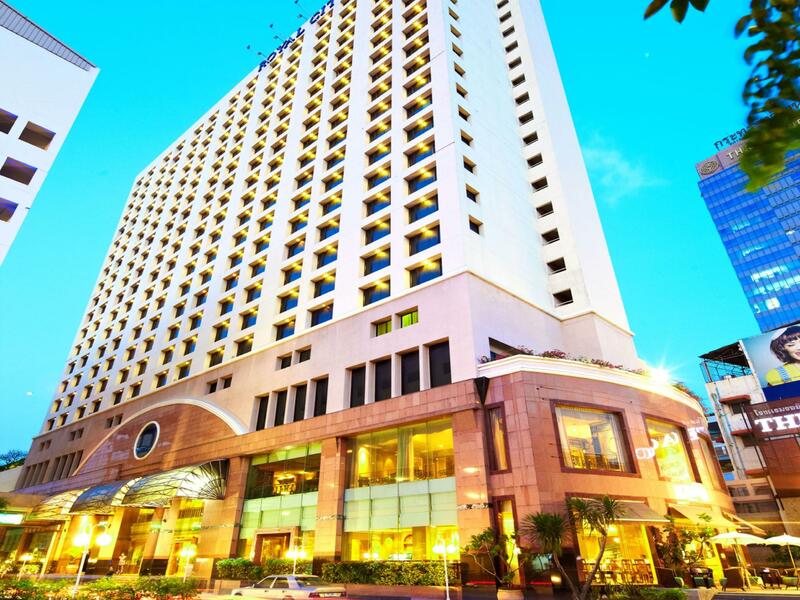 The Royal City Hotel is in a good location, just minutes walk to shopping mall and market. The room is spacious compare to other hotels in the same area, but facilities are quite dated. Breakfast is decent and staff are helpful too. A nice place to stay if you are trying to travel around BKK proper. Easy to get to with easy access to everything. Ten years ago the hotel was likely great. Now it really does not compete but the rooms are good size lots of tours booked into the hotel. A big hotel full of mainly tourists from China. the hotel is old but the decor does not show its age. front staff and concierge were cheerful and there was absolutely no problem checking in considering that we checked in at near midnight. i need to leave at 5 am everyday and the hotel arranged breakfast at that hour for all of us who had to be out early. rooms are more than comfortable, large and home-like. they provided all facilities just as a 5 star hotel would. although there are no 7elevens within 500 metres, the hotel provides a not-so-well-stocked mini mart, but it is enough. overall, it is an excellent hotel, great location and as comfortable as your own home.